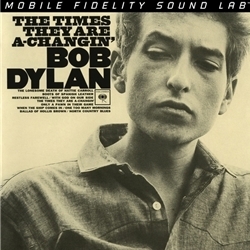 Marking a shift from the looseness and comedy that pepper the preceding The Freewheelin’ Bob Dylan, The Times They Are A-Changin’ attempt at humor, sarcasm, or goofiness in favor of utmost seriousness and severity. Seemingly anticipating the dark events surrounding President Kennedy’s assassination and the turmoil that followed, Dylan eliminates with conjecture and disguise. Akin to dispatches from the typewriter of literary icons John Steinbeck and William Faulkner, his songs give voices to the voiceless, challenge cultural precepts, upend traditional beliefs with rapier wit and truths, and underline tragedies swept under the rug.